With the 2019 race season quickly approaching, the hype surrounding the OSCAAR Modifieds is at a peak level with a new partnership being formed. 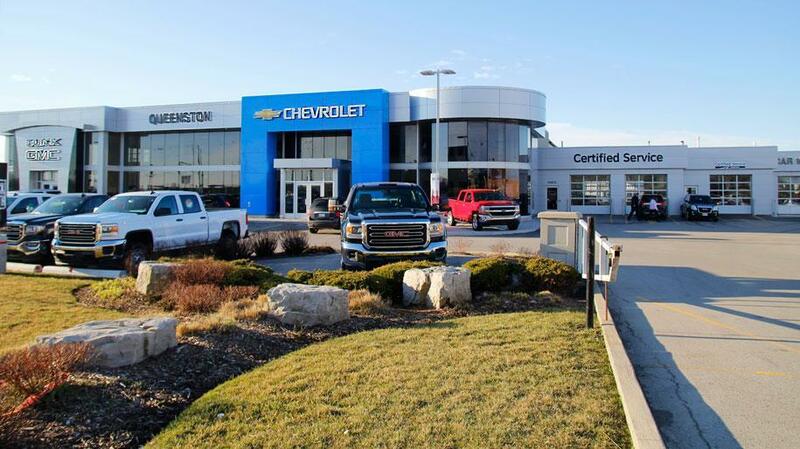 Since 1968, Queenston Chevrolet Buick GMC has been serving their dedicated customers with the best in customer sales and service. It has been said that if your favorite brand wins on Sunday, it will sell off the dealership floor on Monday. While you unfortunately cannot go buy an OSCAAR Modified, the management of OSCAAR and Queenston are sure you will find a vehicle of your liking once you stop in at the dealership for a test drive. Alternately, perhaps you can experience their friendly service department for all your needs. Whatever you require, Don Nopper and his professional team will be there to look after you. To kick off the partnership, Queenston and OSCAAR will be unveiling their brand new 2019 Chevrolet Crew Cab LTZ OSCAAR Pacetruck at the Motorama Custom Car and Motorsports Show. Taking place from March 8 to the 10 at the International Center, the show features a bit of everything for both car and racing enthusiasts. We promise the truck will fit right in, featuring a one-of-a-kind graphics package courtesy of Knightworks. If you’re attending the show, be sure to stop by and say hello; you will be able to sit behind the wheel and enjoy that new truck smell and see if you like to get your very own version. Whether you can make the show or not, the Queenston Modified teams encourage all of their great racing fans to stop by the dealership for a test drive today. By finding the right ride for your needs, you can arrive in style to the race track with your very own new vehicle from Queenston Chevrolet Buick GMC and enjoy all the racing action of the Queenston Mods. OSCAAR fans can learn all about Queenston Chev at www.queenstonchev.com. Race fans can stay up to date with all the latest news at www.oscaar.ca, while following the series on the various social media channels, whether it be Facebook, Twitter, or Instagram.